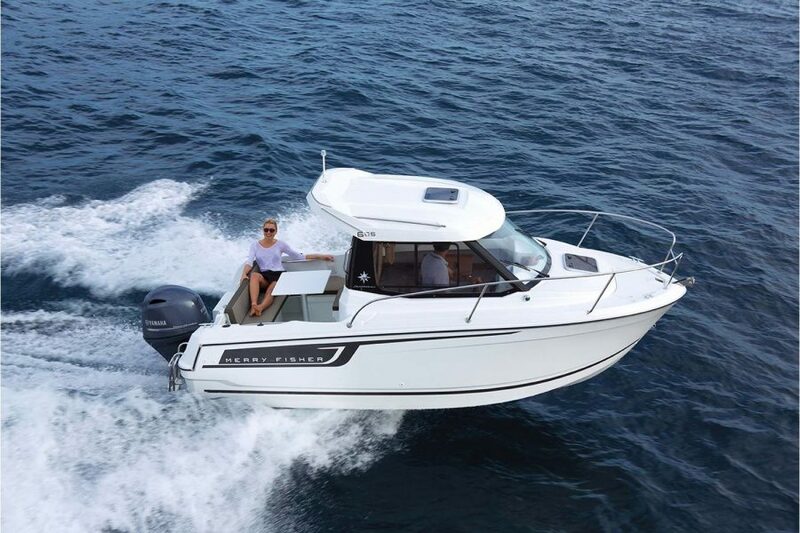 Jeanneau Merry Fisher 605 with Honda BF 100 LRTU outboard engine. A fantastic wheelhouse cruiser / fishing boat - great for our Park and Ride service. Complete with Premiere Pack, shore power, fridge and U-shape cockpit saloon. CE category C for 6. 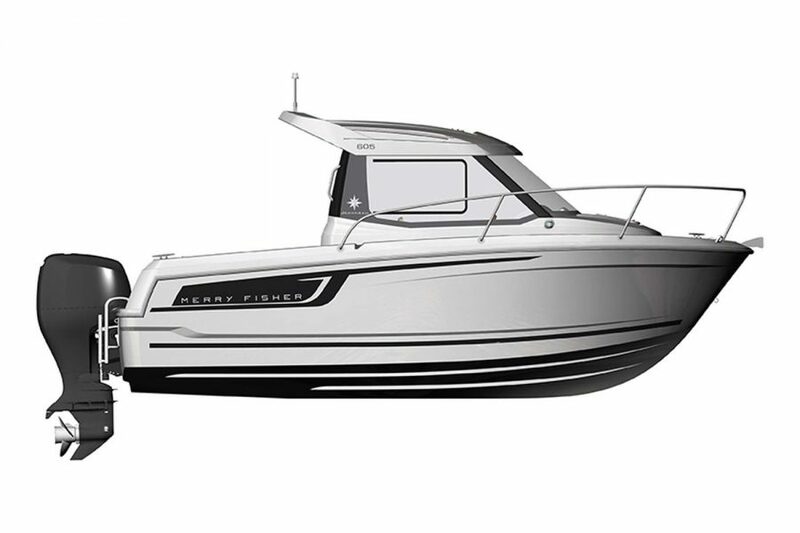 Price includes pre-delivery inspection, engine installation and hand over programme by Morgan Marine. 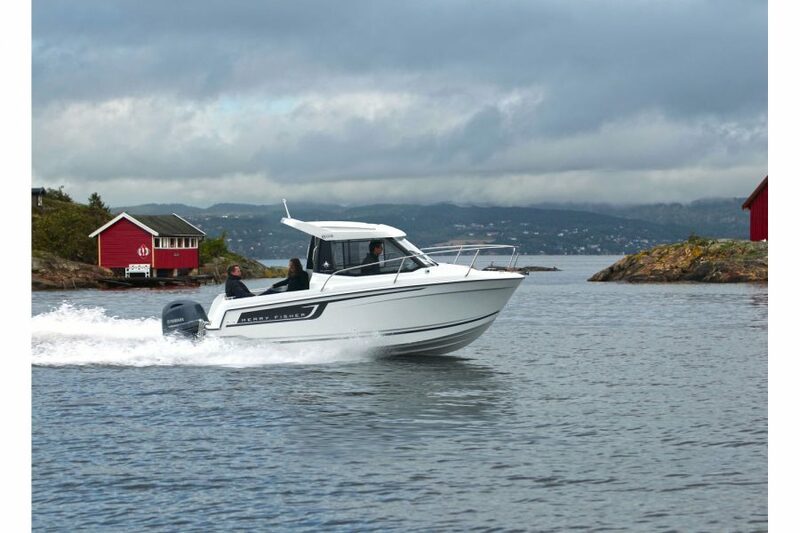 2019 model available to order for UK delivery - with special offers and in stock at Morgan Marine. Self draining anchor locker. 2x forward and 2x aft mooring cleats. Open front pulpits. Cockpit handrails. Self draining cockpit. Aft cockpit sliding bench with backrest and removable corner seats. 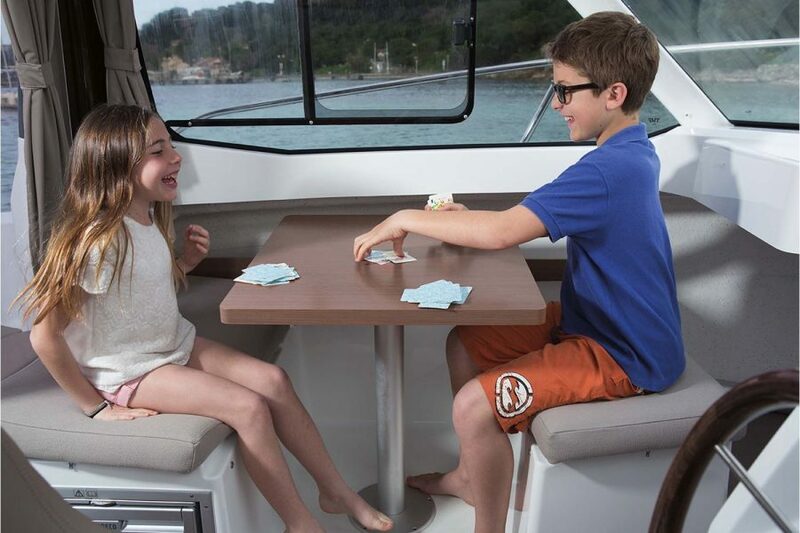 U-shape cockpit saloon and sundeck complement (seats + table + sundeck cushions). Cockpit deck locker. Swim platform with boarding ladder and deck barrier. Fishing rod holders. Rubbing strake. Trailer winch ring. V shape seating with space for chemical toilet. Can be converted to double berth with the addition of the Comfort Pack (not included). 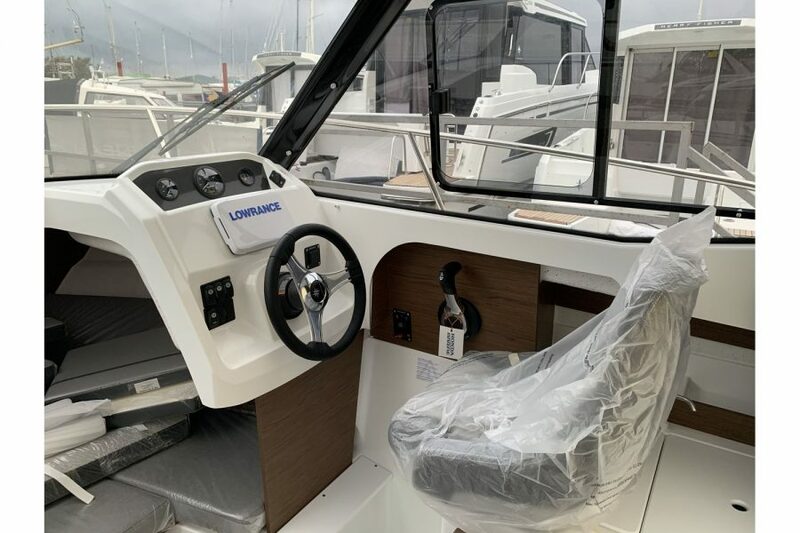 Wheelhouse with aft transparent door and sliding windows on port and starboard side. Windscreen with port and starboard electric windscreen wipers. 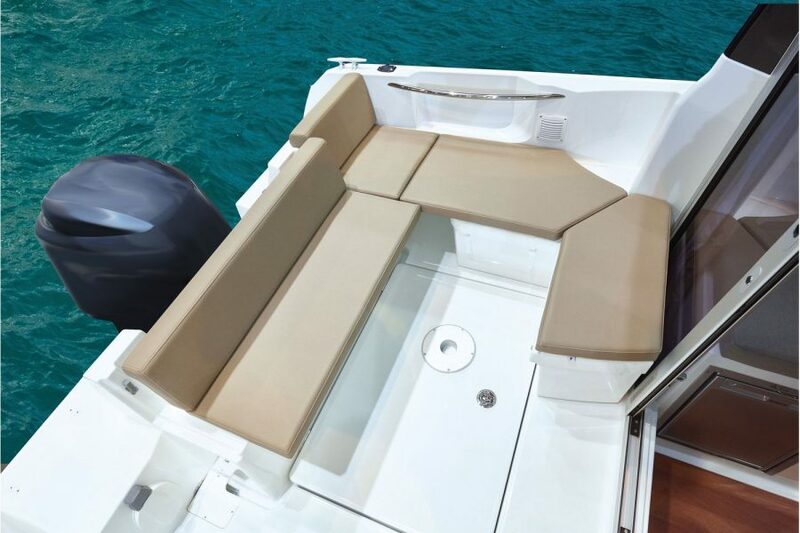 Bolster pilot seat and co-pilot bench seat. Dash with engine controls and compass. 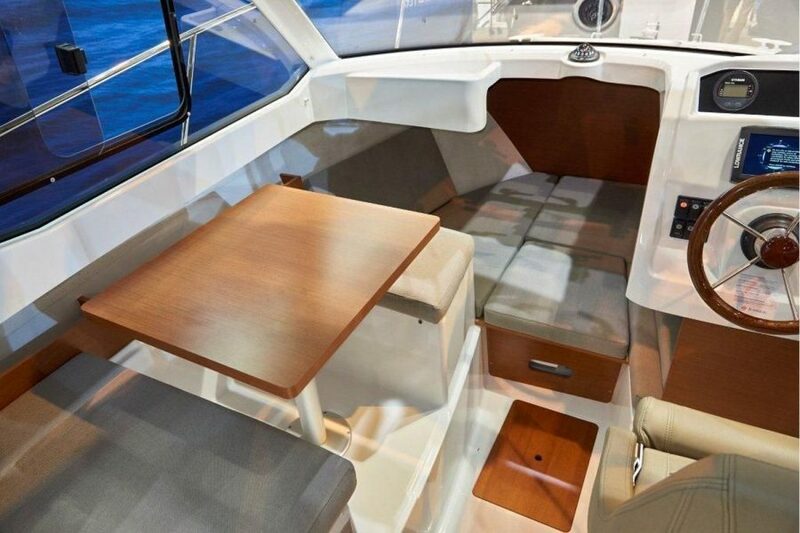 Wheelhouse saloon with table and seats (with storage under). Galley with sink, 40L fridge and space for removable gas stove. 220v shore power + battery charger. Navigation lights. Manual and electric bilge pump. 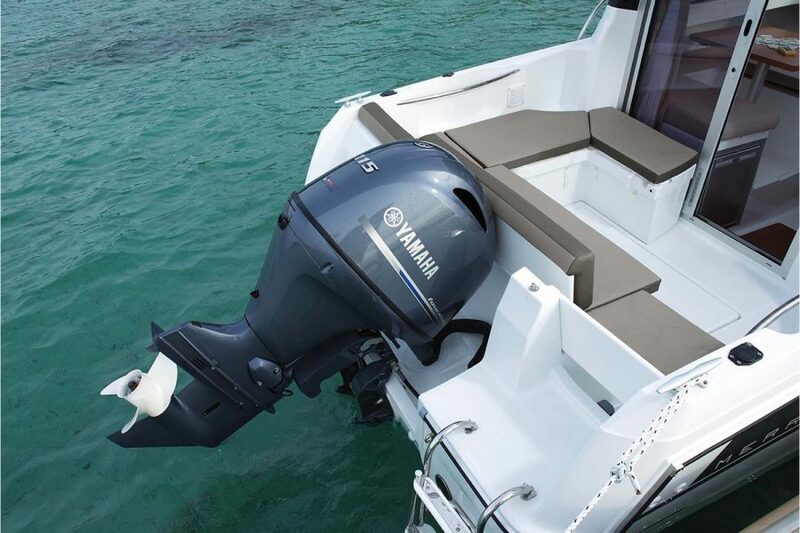 Honda BF 100 LRTU - long shaft outboard. Mechanical steering. Fuel capacity: 100L. Water capacity: 20L.